Silhouettes of happy parents having good time with their little children on the outdoor at sunset. Silhouettes of parents walk with small children with a stroller and bicycle. 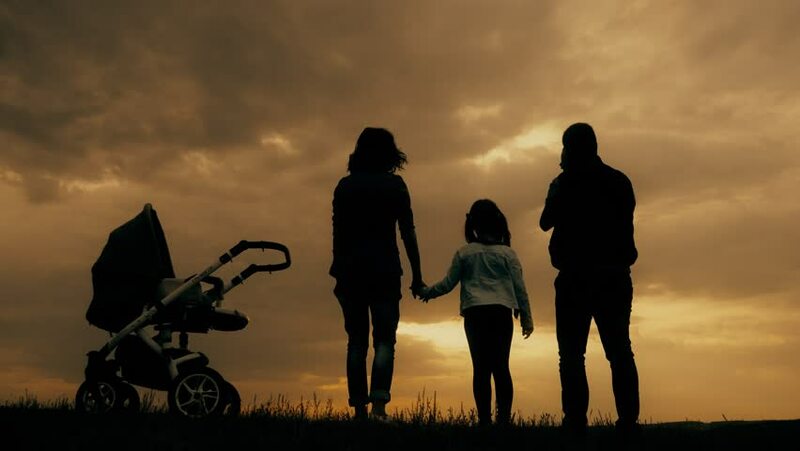 4k00:24Silhouettes of happy parents having good time with their little children on the outdoor at sunset. Silhouettes of parents walk with small children with a stroller and bicycle. hd00:15Silhouette mother and daughter at the sky sunset. hd00:59Happy family with children running around the field, silhouette at sunset. hd00:27Silhouettes of father, mother and children hiking. Baby sits on the shoulders of his father. Hiking backpackers trekking mountains summer. Young family on travel adventure vacation.